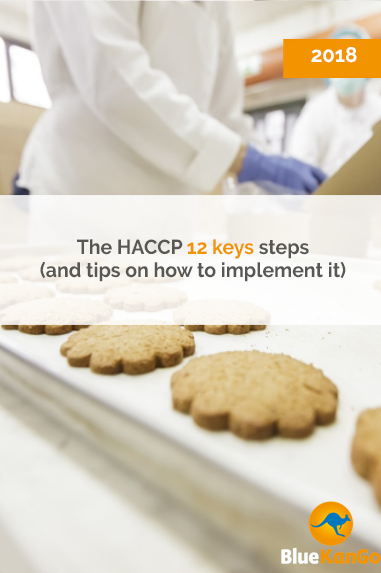 HACCP – "The 12 key steps of a HACCP" Guide. A free guide for Quality Managers so as to help them develop their HACCP plan and manage efficiently all stages of the process. Learn with this 14-page guide how to develop your HACCP plan, if you want to be marketed in supermarkets, and how to ensure an IFS, BRC or ISO 22000 certification. - What is a HACCP plan? - What are the 12 essential steps for its implementation? - How to simplify a HACCP? - How could digital tools help you do it? © Copyright 2002-2018 bluekango.com, inc. All right réserved.